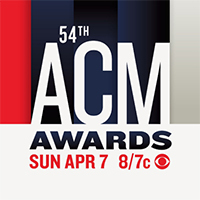 Entertainer: Jason Aldean, Luke Bryan, Kenny Chesney, Chris Stapleton, Keith Urban. Female Artist: Miranda Lambert, Ashley McBryde, Maren Morris, Kacey Musgraves, Carrie Underwood. Male Artlst: Dierks Bentley, Luke Combs, Thomas Rhett, Chris Stapleton, Keith Urban. Duo: Brothers Osborne, Dan + Shay, Florida Georgia Line, LoCash, Maddie & Tae. Group: Lady Antebellum, Lanco, Little Big Town, Midland, Old Dominion. New Female: Danielle Bradbery, Lindsay Ell, Ashley McBryde, Carly Pearce. New Male: Jimmie Allen, Luke Combs, Jordan Davis, Michael Ray, Mitchell Tenpenny. New Duo/Group: High Valley, Lanco, Runaway June. Album: Dan + Shay, Dan + Shay; Desperate Man, Eric Church; From A Room: Vol. 2, Chris Stapleton; Golden Hour, Kacey Musgraves; The Mountain, Dierks Bentley. Single: "Down To The Honky Tonk," Jake Owen; "Heaven," Kane Brown; "Meant To Be," Bebe Rexha f/Florida Georgia Line; "Most People Are Good," Luke Bryan; "Tequila," Dan + Shay. Song: "Break Up In The End," Cole Swindell; "Broken Halos," Chris Stapleton; "Meant To Be," Bebe Rexha f/Florida Georgia Line; "Space Cowboy," Kacey Musgraves; "Tequila," Dan + Shay; "Yours," Russell Dickerson. Video: "Babe," Sugarland f/Taylor Swift; "Burn Out," Midland; "Burning Man," Dierks Bentley f/Brothers Osborne; "Drunk Girl," Chris Janson; "Shoot Me Straight," Brothers Osborne; "Tequila," Dan + Shay. Songwriter: Ross Copperman, Ashley Gorley, Shane McAnally, Chase McGill, Josh Osborne. Music Event: "Burning Man," Dierks Bentley f/Brothers Osborne; "Drowns The Whiskey," Jason Aldean f/Miranda Lambert; "Everything's Gonna Be Alright," David Lee Murphy f/Kenny Chesney; "Keeping Score," Dan + Shay f/Kelly Clarkson; "Meant To Be," Bebe Rexha f/Florida Georgia Line.